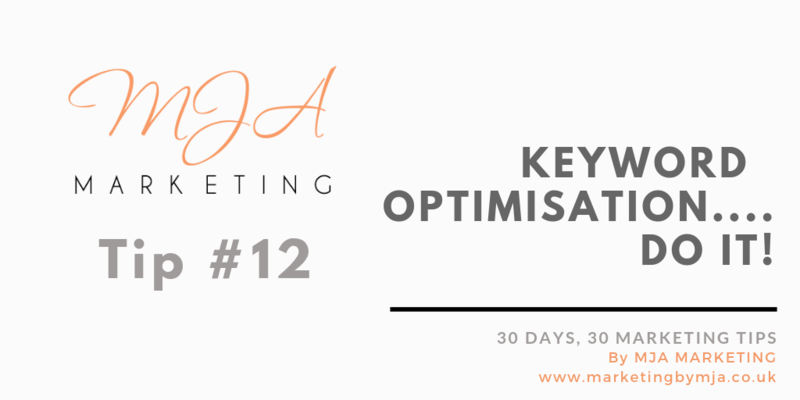 Marketing Tip 12: Keyword optimisation….do it! This entry was posted in 30 days, 30 marketing tips, Digital Marketing, SEO (Search Engine Optimisation). Bookmark the permalink.